50 x 62 x 3" The Castle's Pasture Wall Art. 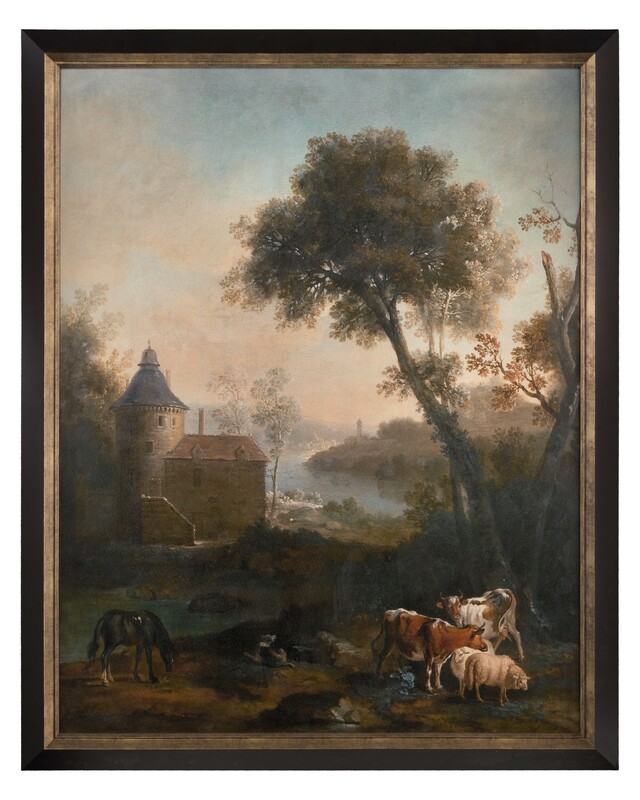 This lush pastoral scene is adapted from Pastorale Avec Un Château À L’arrière Plan by Jean-Baptiste Oudry’s masterpiece. The piece is framed in a rich, traditional, geometric, two-tone molding.